PEACE Anti Human Trafficking desires to make the church a place where those caught in trafficking can find love, hope, and truth. When Jesus said to love our neighbors, we think he meant our literal neighbors—those who live and work in our neighborhood. On the first Saturday of May, we give one full day to help our neighbors in northern Colorado. 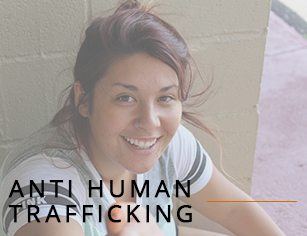 Human trafficking is the fastest growing crime in the world. With over 160 countries involved in human trafficking, including our own neighborhoods and towns, our hearts are broken for each individual affected by this horrible reality. PEACE Anti Human Trafficking desires to make the church a place where those caught in trafficking can find love, hope, and truth. When Jesus said to love our neighbors, we think he meant our literal neighbors—those who live and work in our neighborhood. Crossroads (Loveland) is partnering with our neighborhood school, Edmondson Elementary School to support, encourage and serve the staff and families who attend Edmondson School. -provide breakfast and refreshments for the staff during School Teacher Appreciation week. -host their annual Posole Family Dinner in the Crossroads auditorium. -provide pie or dinner at school events that involve the families of Edmondson. 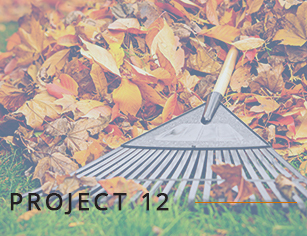 -serve together on Project One day (landscaping, clean-up, painting). -provide classes and workshops on parenting, finances, technology, tutoring (these are being developed). -volunteer at other school events. Volunteers on this team make or serve food, be an encouraging presence at school events, teach or host workshops and classes, serve on the Project One team, mentor students, and develop other ways to empower and serve our Edmondson neighbors. 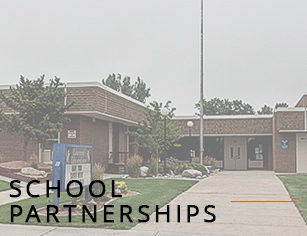 A school partnership is currently being pursued for the Crossroads Ft. Collins campus. On the first Saturday of May, we give one full day to help our neighbors in northern Colorado. Hundreds of Crossroads and community volunteers make home repairs and improvements for people who lack the resources to do the work on their own. Our goal is to make a significant and lasting difference in our community-together, we can make that difference a reality. 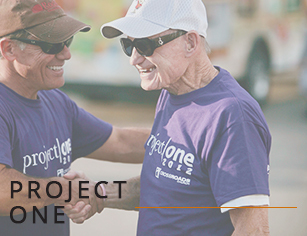 Here is a story about the impact of Project One: "When I got the call saying I had been nominated and selected for Project One all I could do was cry because I was so happy. I am a single mother of three and have been in this home since I was 18 years old. It has been a struggle to make sure my boys have what they need, bills be paid and find the time and extra money to make all the repairs on my home. With all of your help you have made one of the biggest stresses that I had go away. I am so thankful!! Thank you from the bottom of my heart!!" 1) Work Crew Volunteers: As a work crew volunteer, you will be placed on a work site with a crew leader. Projects range from painting to building, landscape, carpentry, food crew and more. You will be placed on a team based on your experience in these various areas. If you have a specific crew leader or team you would like to be with, you may request that during registration. 2) Work Crew Leaders: If you can organize a group of 5-10 people to accomplish a project, you can lead a crew. No carpentry, landscaping or painting expertise is required. If the project you select requires some expertise, the people with those skills will be assigned to your team. You can bring your own team from school, work or neighborhood. It's a great way for the community (not just Crossroads Church) to serve our community. 3) Nominate a Project: If you or someone you know needs some basic work done on their home or non-profit organization facility, you can nominate them after getting their OK. We take on projects that a team can complete in one day. 4) Sponsor a Project (one or more). Projects are financially supported through the generosity of businesses and individuals. Gifts of money, in-kind materials and services, and food are all greatly appreciated. On the first Saturday morning of each month Crossroads volunteers work together to provide routine home maintenance and minor home repair for single parents, the elderly and those with special needs. Crossroads is committed to seeing every person equally valued and equally loved by God and by others. 49% of all families in Larimer County are currently working but living below the poverty line. Crossroads is committed to seeing every person equally valued and equally loved by God and by us. We are committed to racial reconciliation. In addition to weekend services and MLK Day observances we encourage people to participate in the Sankofa Racial Reconciliation experience. Sankofa is a word from the Akan tribe in Ghana. It means San (to return), ko (to go) fa (to fetch, seek, and take). Sankofa attests that we must look backwards (into our history), before we can faithfully move forward together, in the present and future. The 4-day Sankofa experience does just this, by exploring historic sites of the Civil Rights Movement, connecting the freedom struggle of the past, to our present realities. Sankofa is an invitation to understand race as a critical component of our Christian discipleship. 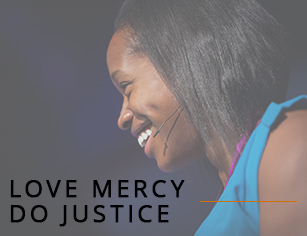 It is an interactive, spiritual formation pilgrimage that equips people to pursue racial righteousness inside and outside the church. This relational journey traces the history of race in the U.S., and tangibly equips us to begin living into our mission to be ambassadors of reconciliation. Hunger is a condition in which people do not get enough food to provide the nutrients for fully productive, active lives. Individuals may lack money for food or maintain a balanced diet, cut meal sizes or skip meals to stretch the food they have, or go hungry. Hunger and poverty are inextricably linked. 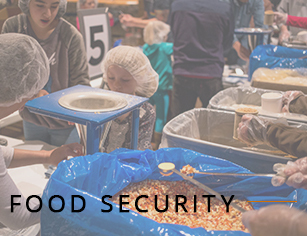 1 in 3 children in Larimer County is food insecure, meaning they are either hungry or nearing hunger. Hungry children are more likely to repeat a grade in elementary school, experience developmental impairments, and have more social and behavioral problems. 49% of all families in Larimer County are currently working but living below the poverty line. As a result of their severely limited incomes, each day tens of thousands of our neighbors must choose between spending their limited resources on food or paying their utilities, rent or mortgage, or needed medical care and medicine. Stuff-the-Truck Food Drive: Once each fall, Crossroads attendees collect tons of food which is donated to The House of Neighborly Service. Crossroads Volunteers collect, pack and deliver food to HNS. We also encourage Crossroads people to serve in local food initiatives (eg. Loveland Community Kitchen, Loveland Kid's Pack, etc.). The Friendly Neighbor program mobilizes volunteers to enhance wholeness of life to homebound seniors in our community. 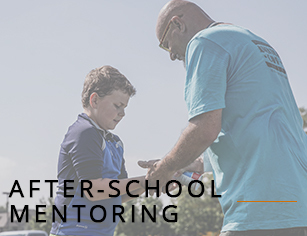 Serve with Lago Vista Neighbors to provide after-school mentoring for middle school students. Learning English, especially American (accent) English, can change the course of a person's life. The Friendly Neighbor program mobilizes volunteers to enhance wholeness of life to homebound seniors in our community. 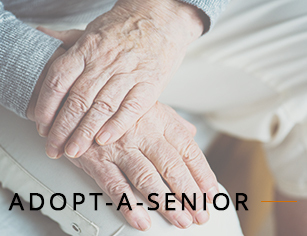 Volunteers meet with a senior seeking companionship once a week to build a friendly relationship with them and help them navigate some of the resources that may be helpful to them. Middle school students whose parents are working outside the home often come home to an empty house. The mobile home park east of Crossroads Loveland Campus is a large community with lots of working parents. We are currently serving with a Christian ministry called Lago Vista Neighbors to provide after-school mentoring (help with homework) for middle school students. Volunteers are needed who can give an hour or two per week to help these students with homework as well as character development. Proficiency with Spanish is an asset but not a requirement. The schedule for mentoring follows the Thompson School District calendar. Learning English, especially American (accent) English, can change the course of a person's life. 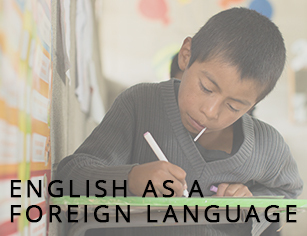 It is a key language of business, provides opportunities, and benefits both children and adults as they attend school, rise from poverty, and access the Bible. The PEACE EFL (English as a Foreign Language) initiative seeks to equip and train individuals to assist those learning English. Serving in an EFL class locally is a good first step toward learning how to train other churches to do the same globally. Teaching English creates bonds between people of different cultures and is life-changing for both the students and the instructor. 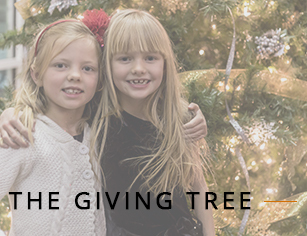 Each Christmas Crossroads people provide Christmas gifts for children in the community who may not have many presents under the tree. Crossroads has always responded with compassion and practical help when catastrophic events occur. Additional ministries and classes that are resources for local PEACE initiatives. Each Christmas Crossroads people provide Christmas gifts for children in the community who may not have many presents under the tree. Serving opportunities include organizing the ministry, communicating with families and distributing the gifts. Fires. Floods. Tornadoes. We’ve faced them all in northern Colorado. Now add hurricanes and the havoc these natural disasters wreck is devastating to homes, people and the environment. Crossroads has always responded with compassion and practical help when these catastrophic events occur. 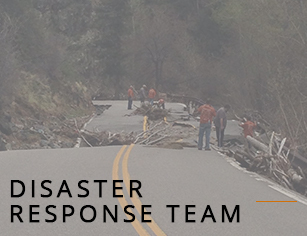 This team is trained and equipped to respond locally, nationally and globally to restore people to a place of health. 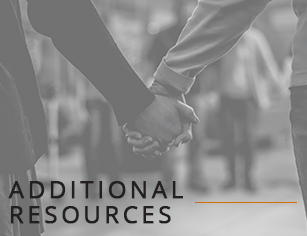 The following Crossroads ministries and classes are also resources for local PEACE initiatives and relationships.